Dr. Kamalroop Singh is a Sikh born and raised in England. He is a rare person to achieve a PhD on the subject of the history of the Dasam Granth Sahib. Recently SikhNet interviewed him on the subject of his new book co-authored with Gurinder Singh Mann. The Granth of Guru Gobind Singh. The interview offers a very fascinating and informative discussion on the Dasam Granth. What inspired you to do research on the Dasam Granth? How many years have you spent doing that research? Guru Gobind Singh. There is no other answer. That classic photo (see above -ED) of the Guru always mesmerises me. When I was fifteen years old, my mother gave me a book by Prof Gobind Singh Mansukhani of London. It was titled Hymns from the Dasam Granth. I read all the way through it and realised that this Granth was different to the one that we worship and read from in the Gurdwara known as Adi Sri Guru Granth Sahib Ji Maharaj. 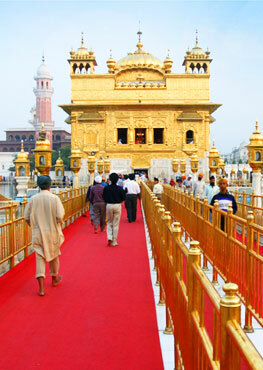 Soon after, I also realised there was another Granth called Sri Sarbloh Granth Sahib as well. I began to read books from the town library in Northampton by various scholars like McLeod, Pashaura Singh, Gurinder Singh Mann, and others. After this period, I went to University and met some really inspiring Singhs. In my town, we had little Sangat. One of the Singh's name was Sukhpal Singh who was part of the Nanak Nishkam Sewak Jatha, and another was Jagjit Singh from the Akhand Kirtani Jatha. At the Sikh Society meetings and else where, they would gladly share their knowledge. This definitely increased my knowledge base but also I now had many more questions. In 1997, I went to India with my family and my late Grandmother, who was also a wealth of knowledge, and I met the Nihang Singhs. They were able to answer many of the questions simply because they actually keep the parkash or enthronement of the Sri Dasam Granth Sahib Ji and know more about it. Jathedar Baba Nihal Singh Ji and the leader of all the Nihang Singhs Baba Santa Singh were very generous with their time and knowledge and I was further inspired. Two years later, at the 300 years of the Khalsa, I was blessed with khande-ka-pahul (amrit), and also in the same year met Sri Singh Sahib Yogi Harbhajan Singh Khalsa ji at Anandpur Sahib, who also inspired me a lot. I completed my diploma in Pharmaceutical Sciences, and then finished an honours degree in Chemistry. At that time, I used to go everyday to the Gurdwara at Holy Bones Leicester, which had a library and a museum. I saw for the first time handwritten manuscripts and relics, and also the library had very interesting books. Whoever put this collection together must have been a great Sikh scholar. My thesis for my degree was on plastic polymers like Nylon and also recycling the crum from used tires, it was really interesting and well paid. However, I found reading through my new found books much more interesting, and I could no longer imagine myself in this field (even though I was offered a very good job in the United States). So I went to India and continued to research. This was with Akali Baba Ram Singh (Manpreet Singh) at the Sikh Reference Library, and my friend Charanjit Singh Marwaha (Chow). I also started Santhia with Dam Dami Taksal, and met Sant Baba Thakur Singh who gave me a siropa when he found out that I wanted to research Dasam Granth Sahib Ji. I still treasure it to this very day. I also used to meet Bhai Balbir Singh Ragi who sings both Dasam and Sarbloh Granth Sahiban kirtan, which was a great blessing. When my visa ran out, I headed back to the UK. Around this time, I used to workout a lot in the Gurdwara gym in Northampton, and while I was doing bench presses, looked up and saw a poster with Sikh Studies on it. I didn't have the arts background they wanted, but nonetheless I wrote up a solid proposal about wanting to do a doctorate about the history of the Dasam Granth Sahib, and which banis had been removed in the standardisation process. I was allowed onto the course after an interview with Prof Gurharpal Singh, and studied Research Methodology and Sikhism under Prof. David Cheetham and Dr. Jagbir Jhutti-Johal. This training really helped me to be able to research properly and methodically. I then took a number of trips to India to research further and met with Baba Santa Singh Ji again, who also gave me great blessings due to my research. I travelled to all of the Takht Sahib for any manuscript collections. I went to Pakistan as well as other smaller collections in the diaspora - in Canada, etc. Raj-Yogi Sant Gurharkirpal Singh of Dam Dami Taksal, the right hand man of Sant Jarnail Singh Khalsa, also helped me greatly, as well as Giani Hardeep Singh of Hazuri Taksal. Sant Ram Singh of Takht Hazur Sahib and Baba Kulwant Singh Ji also shared valuable information and were so generous. I feel here I need to list all of this, as I can't claim anything. It was all by the blessings of Guru Sahib and his Khalsa Sangat. After publishing this and receiving my doctorate, Akali Baba Surjit Singh, the head of the Nihang SInghs, blessed me to become a Farladhari by initiating me into this. Dr Kamalroop Singh at the feet of 96 crori Buddha Dal Jathedar Singh Sahib Akali Nihang Baba Prem Singh ji, he read the Dasam Granth Q and A, even though its English. He blew us away with his presence, Vahiguru bless him always. What was the single most unexpected discovery that you made during your research? Manuscripts of Sri Dasam Granth Sahib from 1696 AD to 1713 AD. From this evidence I discovered that the Dasam Granth Sahib was actually compiled in Guru Gobind Singh's time according to manuscript evidence. Another great discovery was this portrait of the Guru from the first original sarup of Sri Dasam Granth Sahib titled the 'Anandpuri Sarup' as that was the location where it was compiled in 1696 AD (during the life of Guru Gobind Rai) after completion of the bani Charitropakhyan that contains the Chaupai Sahib. You and co-author Gurinder Singh Mann found evidence that the Dasam Granth was compiled by Guru Gobind Singh in his lifetime and given tremendous respect alongside the Guru Granth Sahib. How does this change our understanding of the Sikh path and Sikh history, in your opinion? It made me realise much more deeply that we must be Saints, but we must not forget to be soldiers. To be be brave. To have courage always in our life and its challenges. I feel the Khalsa Panth is in turmoil because the wisdom in the Dasam Granth Sahib is overlooked. If we connect to its bani properly, I can see the Sikhs being as strong as they once used to be. Many mantras that Harbhajan Singh Khalsa Yogi Ji gave are from the Dasam Granth Sahib, Gobinde Mukande, Chattra Chakkra Varti, and so on, all of them empower us. How would you re-frame the community discussion about the Dasam Granth, based on the research recorded in your book?
" The purpose of today’s training is to defeat yesterday’s understanding." You said "We (Sikhs) must research and learn". Can you provide a few places we can look for our own research to get us started off?" Which has the full encyclopedia of Sikhism, Mahan Kosh by Bhai Kanh Singh Nabha searchable. Then I would look at Google Books, The Internet Archive and the many other digital repositories. If you are really committed then visit the manuscript collections at the British Library, Sri Darbar Sahib - Bhai Santokh Singh Library, Wellcome Trust in London and many others. Look how the Sikh Religion has changed over time with various movements, and see the original Rahitname to have a good idea what has gone on. Also consider the impact of colonialism. For example is "Ik Oankar" translated as "There is But One God," "One Universal Creator God," or "God is One?" 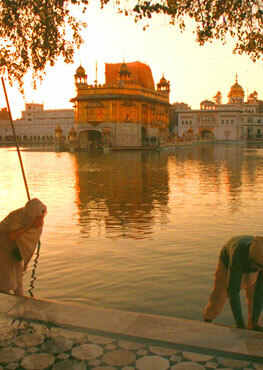 Amrit has become Baptism, Gurdwara a Church and Sangat a congregation, but do these terms actually help us? The information examined in my thesis from the extant texts reveals a coherent textual project that extended over at least a decade from 1688 to 1698. While mainstream Sikh scholarship has generally lauded the Dasam Granth Sahib as evidence of Guru Gobind Singh’s learning, it has almost completely ignored the actual text. What benefits do you think exist for people to study Dasam bani? Self-Empowerment, Knowledge, Spirituality, Knowledge of Warfare and Strategy that can be applied to all areas of life, along with Unconquerable Spirit. This has been a very engaging and informative talk! I really appreciate your work on this subject. Thank you so much Dr. Kamalroop Singh Ji. Many thanks to you for this opportunity and I would like to thank my parents Sardar Baldev Singh and Sardarni Gurpal Kaur, along with my wife for all their endless support over the years. It was not easy to dedicate so much time on this sewa. Other things had to give way. But they all selflessly accepted it. I feel so grateful to them all.